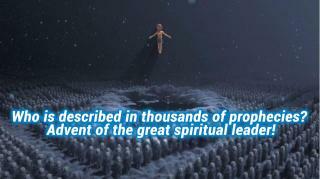 Who is described in thousands of prophecies? Advent of the great spiritual leader! From time immemorial, by word of mouth the humanity has been passing words of legendary seers about the advent of the last times, the End of the World, the Judgement Day, when people will forget the sense of their existence and face the final choice. Looking at what is happening around it can be assumed almost with certainly that such times are indeed setting in. Even today’s official science admits the human civilization has reached a deadlock and stands on the brink of ruin. In our studies, to the extent possible we shall endeavour to remain religiously impartial, although the assumption that Messiah is already among us on the earth will run through our entire project. Actually, we are searching for a confirmation or disproof of this unprecedented fact. 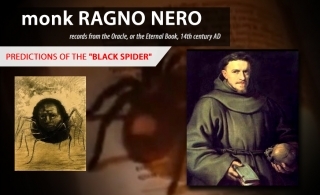 Predictions by monk Ragno Nero in the 14th century A.D.